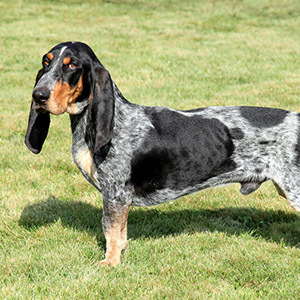 The Basset Bleu de Gascogne or Blue Gascony Basset originates from southwest France, and is descended directly from the Grand Bleu de Gascogne. 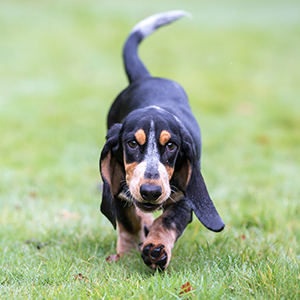 While sporting a similar look to their close cousins, the Basset Hound, it’s their unique “blue” mottled markings and tan points that set them apart. 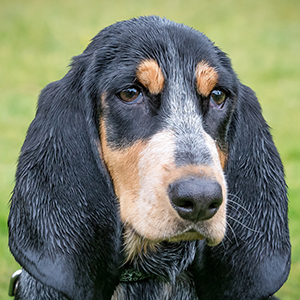 The Basset Bleu de Gascogne can be traced as far back as the 14th century, but like all good historical tales, there are different versions up for debate. 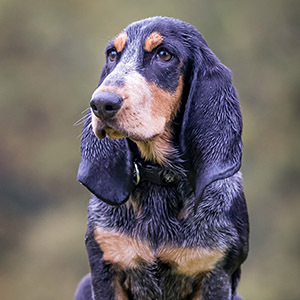 Some believe the breed arose from a crossing between the Grand Bleu and the Saintongeois Basset, while others think the breed was derived from a spontaneous mutation within the Grand Bleu along with selective breeding for shorter-legged dogs. What is knowns for sure is that the breed was further refined during the French Revolution to produce a rare combination of hound that could not only keep up with horses but that could also be kept up with by hunters on foot. Near extinction in the early 19th century, the breed was brought back to its current glory by the work of Alain Bourbon. 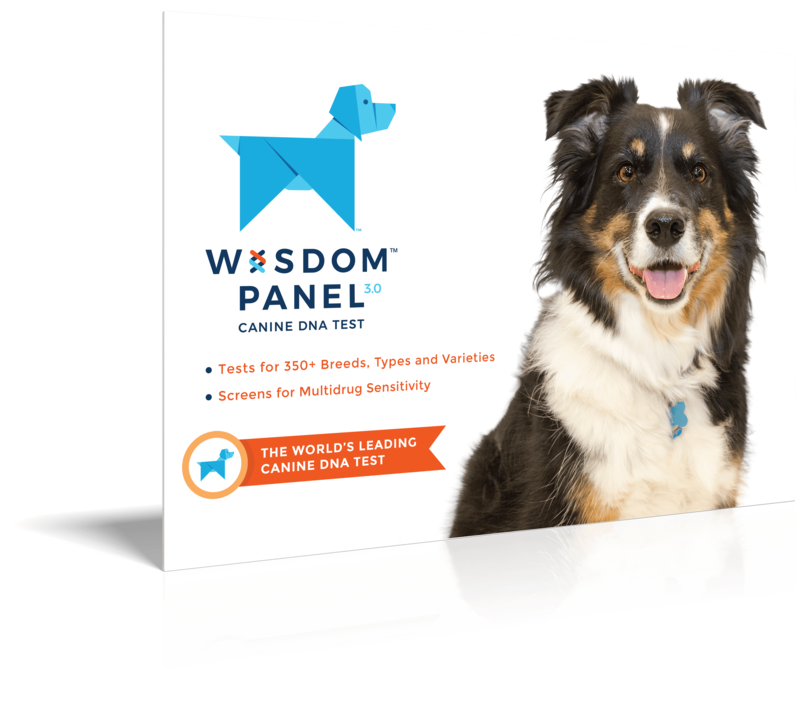 These agile, adventurous and curious dogs love the “pack life” and make a great addition to the family. They are generally affectionate and lively but can be reserved at times. Bred for their excellent nose, powerful voice and strong hunting behaviour these guys can spend a good deal of time with their face to the ground. 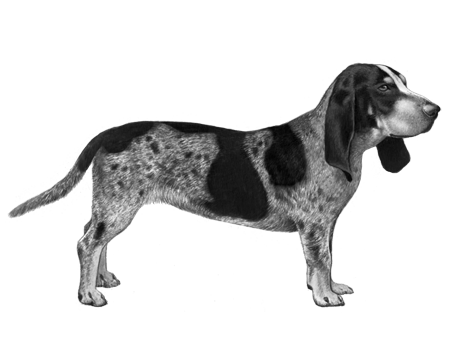 The Bassett Bleu de Gascogne has a short, dense, predominantly white, smooth coat, which is ticked with black giving a bluish appearance. Generally there are black patches on either side of the head that cover the ears, surround the eyes and stop at the cheeks. They should always display tan points above the eyes, on the cheeks, lips, inside of the ears, on the legs and under the tail.